We are super excited about this website! 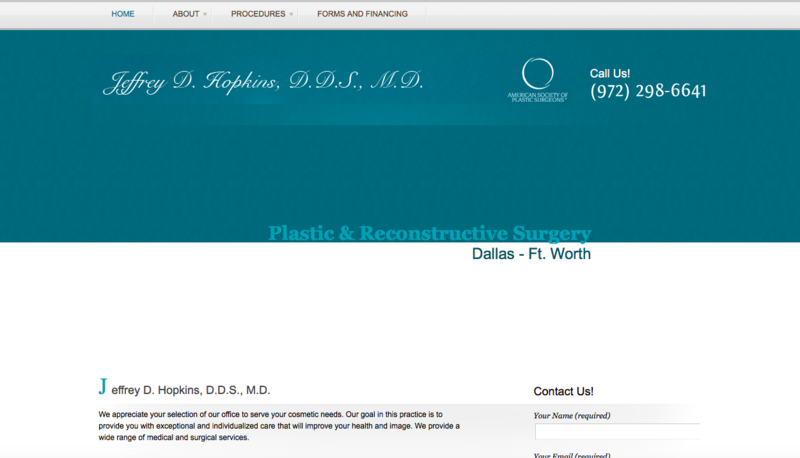 Below, you can see the first image is Dr. Hopkin's "before" picture of his older website. After years with a different web team, his rankings were terrible, lead counts non-existent, and the website was outdated. Gently submitted, it was in need of a "nip and tuck" just like many of Dr. Hopkin's patients. With an underperforming website, finding a significant budget to create a custom-coded, mobile responsive website with superb visuals, let alone a fantastic online marketing team to grow his rankings and leads counts, was difficult task. SEOversite immediately dove in and saved the day. As you scroll through the "after" photos and statistical results, notice the beautiful updated logo design, a brand new website that is fully custom coded and mobile-friendly with responsive design, and the luxurious photography. Further, his results have exploded and his entire investment was repaid within just a few months of the website launching with a great new digital marketing agency helping him grow. What can we say?? 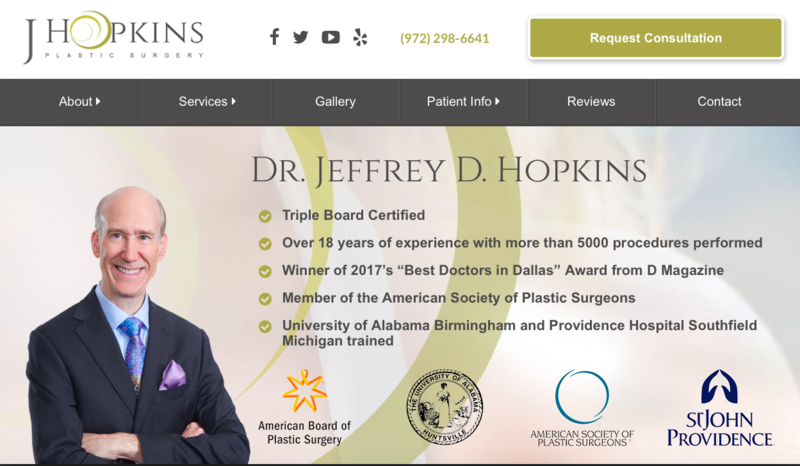 The former web team simply didn't use many best practices in creating and maintaining Dr. Hopkin's old website. It was no wonder his leads and visitors were non-existent and his conversion rate was in the tubes. While almost any effort would create an improvement, we had a limited budget and needed to work to create world class results for around $5,000 less than most similar websites cost, plus get the SEO and PPC team to create results for nearly $1,000 less per month post-launch than we recommend in a large and competitive market like Dallas. Let's see what the SEOversite team was able to accomplish. Following a variety of SEOversite best practices we were able to oversee an impressive array of positive changes including adding professional photography, trust builders and calls to action, doctor accolades, professional logo creation and ease of navigation. Large format photography with high-resolution images and multiple views help differentiate this site from the crowd. Simple contact forms generate more leads as well. While we keep stock photography to a minimum on most sites, there are places it makes sense to utilize it. Here we tell as story and help patients navigate easily. Dr. Hopkins enjoys a superb reputation among his satisfied clientele. He requested a simple, elegant solution to showcase his myriad testimonials. Beyond ease of reading, we focused on branding and color scheme to create a cohesive look that was simple to create and took limited coding hours - important steps in our goal of saving the doctor money on design and SEO. Incorporating a testimonial "widget" made sense for this website showcasing his myriad positive testimonials. Further, giving easy access as customers decide on if the doctor "has a great reputation" led to the concept of having a link to the doctor's bio, CV and other pertinent information that helps patients solidify their decision to select the doctor. If you are considering opening a practice in Dallas, we might suggest you either have a trust fund or don't open at all. Why? It's a VERY competitive market for doctors (and lawyers and other businesses). That doesn't mean it's a bad decision - it just means you need to be ready for the high-risk high-reward nature of online marketing in places with heavy SEO competition. 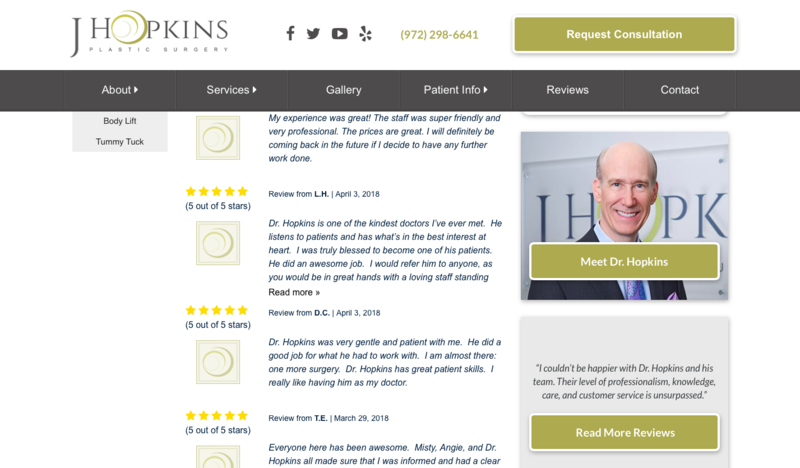 Dr. Hopkins, however, had opened decades prior and so we had to grow him in one of the country's busiest markets, and do so with over a grand less per month than recommended. The results? 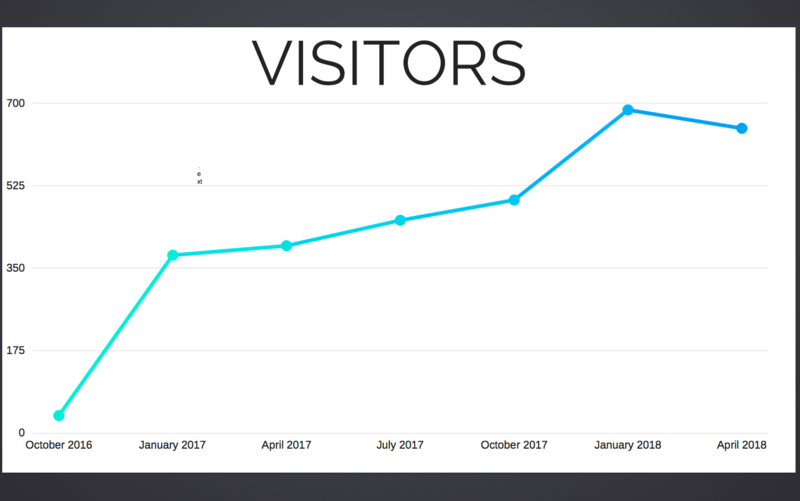 In just 6 months in one of the most competitive markets in the USA we were able to achieve 500-1000 organic, unique visitors per month from scratch and even achieved 300+ visitors within 3 months of launch. More work is needed and with time the numbers will grow significantly. We have several clients in major markets in Texas like Houston, for example, achieving 5,000-10,000 visitors per month with 200-500+ patient leads per month from the internet, but we are off to a good start. We do recommend for most clients to plan to reinvest some profits in SEO as they grow as the market remains challenging with many top players racing for the pole position, but it is possible to achieve profitable results within months even if you are on a budget and entering a difficult market.